Christmas means many things to many people. For some, it’s the most wonderful time of the year, a time of celebration and striving for peace on Earth and goodwill to all. For others, it’s an overly-commercialised time, and one for nothing but being moody and depressed. But whatever your opinion, there’s hopefully room for superheroes in this time of year. Christmas is about spending time with loved ones and helping others. But what about J’onn J’onzz, the Martian Manhunter, who’s all alone? 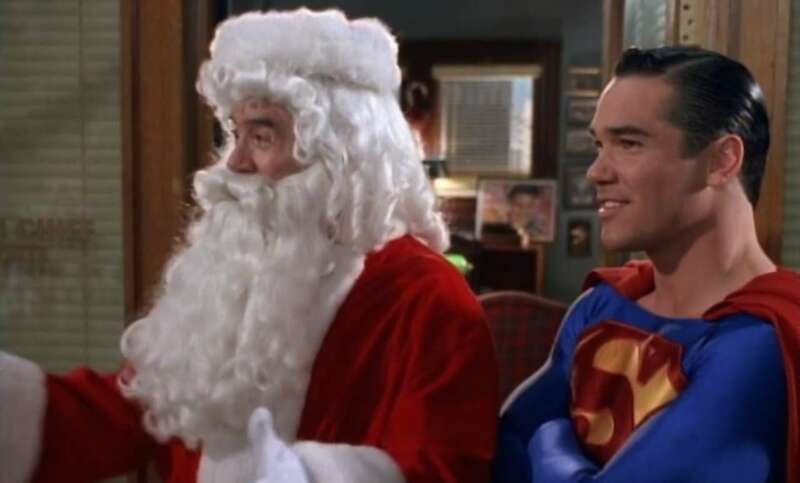 Thankfully, Clark Kent takes him to the family farm in Smallville, where he can learn the true meaning of Christmas and discover that Superman isn’t quite the boy scout everyone assumes. 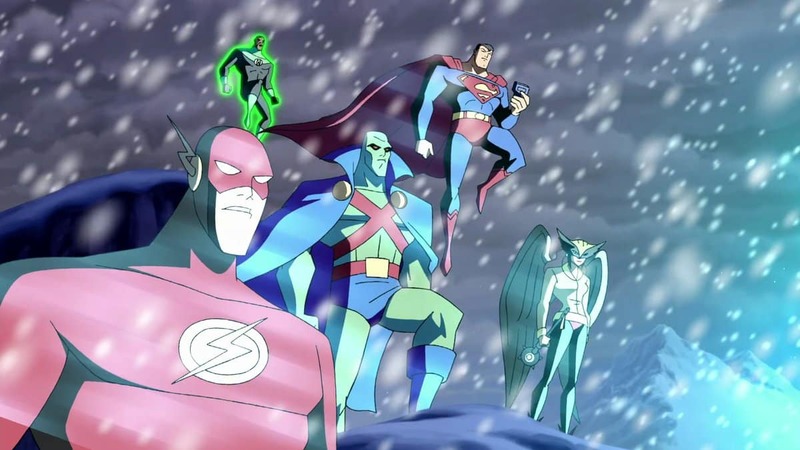 Meanwhile, Green Lantern and Hawkgirl get into a bar fight to celebrate the time of year, while the Flash struggles to find the perfect gift for some orphans and he has to team up with the villainous Ultra-Humanite to make it happen. Quite possibly the most heartfelt JLA story ever, this is all about the characters and the season and less about action. The result is an episode which is sweet without becoming nauseating. Even the most hardened X-Men fan knows that Angel stories are usually weak at best, except when he’s being used as a religious allegory or as one of Apocalypse’s henchmen. Forget the latter, as here he’s mistaken for a religious angel over Christmas. With many of the X-Men being away for the holidays, it’s up to Rogue and Cyclops to help Angel defeat Magneto. The main storyline involving the master of magnetism targeting Angel to join the Brotherhood is weak, but there are some truly heartwarming moments here too. Seeing how each member of the X-Men spend the holidays at the end is incredibly touching and a great reminder of how multicultural they are, and the image of Wolverine alone is truly fitting. Red Tornado has a problem over Christmas: he doesn’t understand it. Nor, for that matter, can he truly experience and feelings of warm fuzziness since he’s “just” a robot. When evil Martians and rogue robotic Santas appear to attack, he and Batman must try to uncover the truth and save the day. And given how Batman’s feeling the holiday blues, that’s easier said than done. 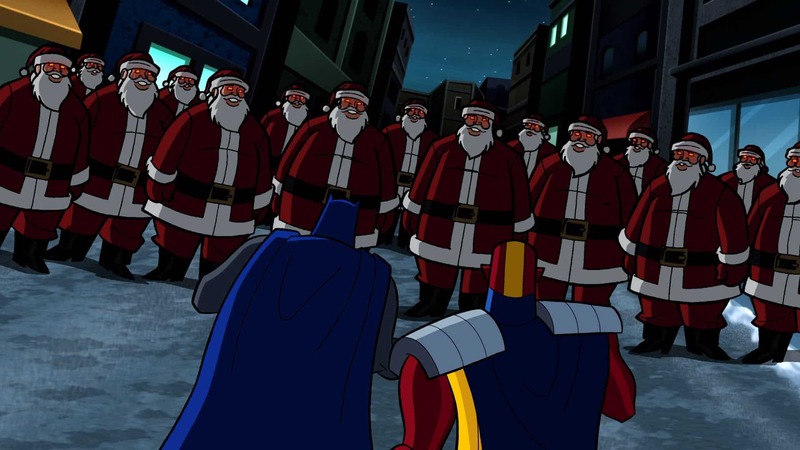 While this may not be the greatest of Christmas episodes, it scores for several reasons including Red Tornado struggling to grasp Christmas cheer. Also, if you get the Santa Claus Conquers The Martians joke which runs throughout this episode, then you’ll truly appreciate it. Of course, the Tick loves Santa! Who doesn’t? But when a criminal dresses as Santa and multiplies, becoming the Santa Clones, the Tick’s befuddled brain can’t tell the difference between good Santa and bad Santa. Things get worse when his fellow heroes tell him that – gasp! – there IS no real Santa Claus! 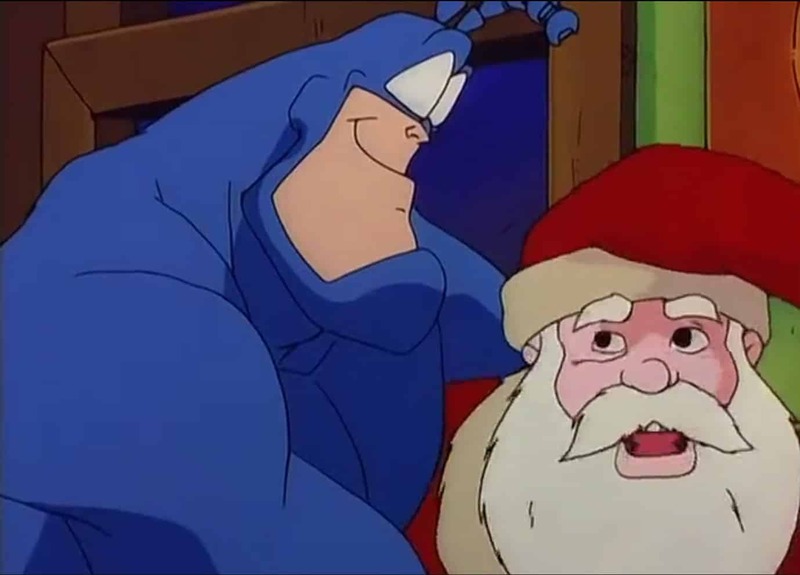 Of course, the real Santa does show up and helps the Tick get over his aversion to violence against chubby men in red suits who say “Ho-ho-ho!” all the time. This has to be one of the weirdest and boldest Christmas superhero shows ever, and the constant refrain of Santa not being real goes against every unspoken law in TV history. Mad, brilliant and completely bonkers, watch it at your peril! When a power station in Dakota City goes offline just days before Christmas, Static thinks little of it but investigates anyway. What he discovers is that there’s a new metahuman in town who can freeze anything. However, this is no typical villain and before long Static learns about how truly cold and lonely Christmas can be, when the culprit is revealed to be a young, psychologically-scarred homeless girl. 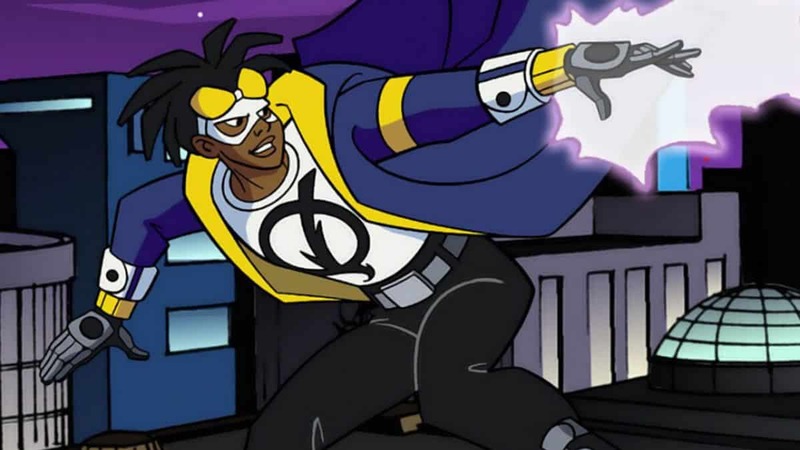 Static Shock, like its Milestone comic book counterpart, always had one eye firmly on social issues and here it’s played out beautifully. While the episode may start off in a somewhat cheesy way, before long it’s explaining about the homeless problem in America (and the world), as well as showing multiple religious faiths uniting over such issues. 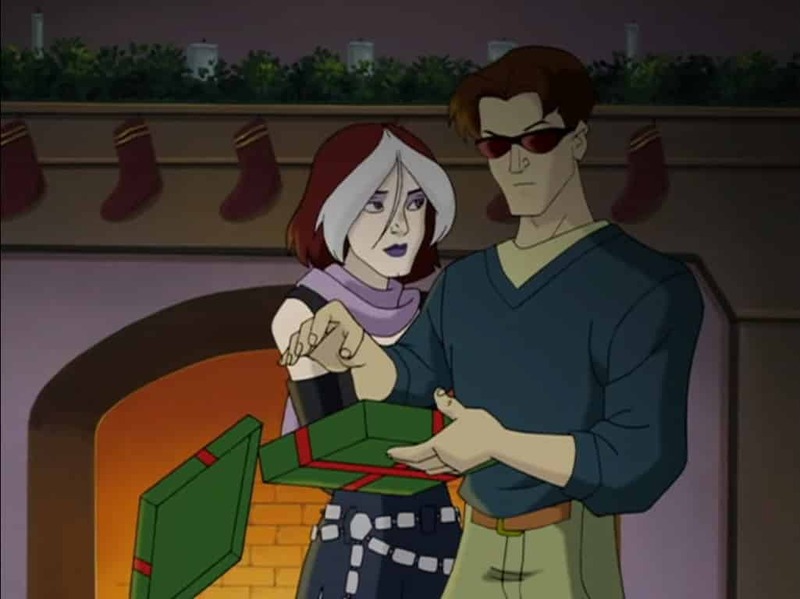 It’s Christmas, and the best-animated superhero show ever gave a special present to its fans in the form of three short stories set over the Christmas holiday period. 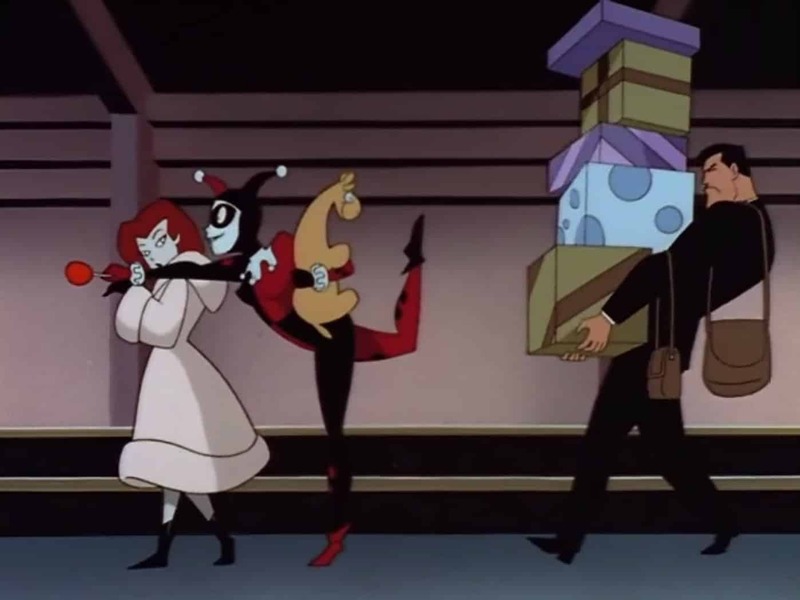 In the first, Harley Quinn and Poison Ivy team up to go on a shopping spree, courtesy of a mind-controlled Bruce Wayne. In the second, Batgirl assists detectives Bullock and Montoya in capturing a strangely elusive thief, whilst the third presents Batman and Robin foiling the Joker’s latest scheme… before the dark knight detective enjoys a coffee with Commissioner Gordon. The emphasis here is mostly on fun, and classic Harley is almost irresistible, to begin with. Fans will always appreciate any moment showing Batman and Gordon as friends, and Harvey Bullock’s dialogue playfully pushes the boundaries of political incorrectness in cartoons. 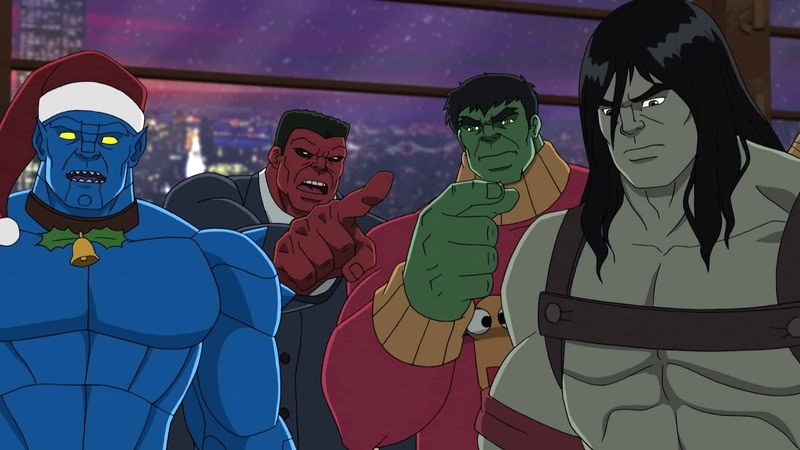 Is it truly the most wonderful time of the year for the Incredible Hulk and his team of rather unloved heroes? Strangely, it seems to be. It’s absolutely perfect, and it’s as cosy a Christmas as they could want… until Rocket Raccoon comes crashing down their chimney and tells them it isn’t real. It turns out that they and the Guardians of the Galaxy have been added to The Collector’s collection and he’s put them in an artificial reality where life is perfect. Can the most unappreciated heroes in the Marvel U resist the urge to have a wonderful Christmas? This may not be the best of holiday specials and the design work on Groot makes him look far less lovable than his big screen version, but there are some great little moments scattered throughout this episode. Plus it encourages the message that the holidays are a time to spend with loved ones – no matter who they are. As ridiculous as this one may sound, don’t knock it until you’ve seen it. An embittered Toyman creates Atomic Space Rat toys which spray a chemical on the people of Metropolis, turning everyone into selfish, childish people over the Christmas holidays… including Superman. Despite some hammy performances, this episode is all full of happiness and good intentions. Not only that but it shows Teri Hatcher’s Lois Lane at her most adorable, while seeing a corrupted Clark Kent use his powers to gain an advantage over everyone else in getting presents and candy is priceless. It’s silly, but then this is the silly season. Imagine A Christmas Carol, only with Spider-Man being visited by the Ghosts of Christmas Past, Present and Future. Now forget that and imagine some typical Ultimate Spidey fun. When Spidey can’t find his team and Squirrel Girl goes into hibernation, Spidey gets transported back into his old 1967 animated show before being sent to a future where the Avengers have all been killed. 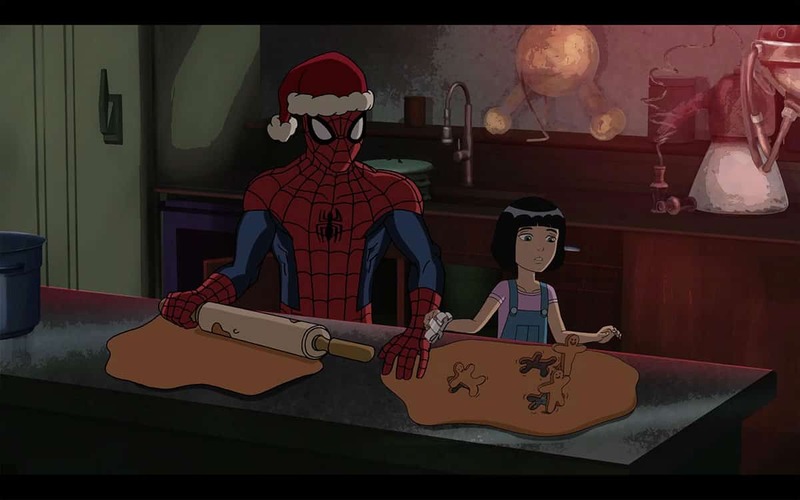 Obviously, there’s more to it than there appears (and the episode’s title is an obvious clue) and the homage to It’s A Wonderful Life works, but it’s the entire ’67 animated sequence which should make old-time Spidey fans grin.